Carolina Mudcats manager Marc Bombard was optimistic on Victor Cole's future, he told The Pittsburgh Press in 1991. "He definitely has the arm to pitch major league ball," Bombard told The Press that July. "He has three quality pitches - a fastball, a curve and a changeup - and he seems to like the role he's in." Cole went on to take his role to the majors for a single season. Bombard was once a minor league pitcher himself, with enough quality pitches to throw a perfect game. Bombard, though, never made the majors as a player. His role ended up being different. The role Bombard settled into was one as a minor league manager, ushering players like Cole on to the bigs. Bombard's career in baseball began in 1971, signed by the Reds out of the University of Texas-El Paso. Bombard made single-A Tampa in 1972, then AA Trois-Rivieres in 1973. He returned to Tampa for 1974 and stayed through the end of his playing career in 1977. For Tampa in 1975, Bombard threw a perfect game. "I don't think there's any doubt about it," Bombard told The Lakeland Ledger after that perfect game. "This is my greatest thrill in sports. I'd have to go a long way to top the way I feel now." Bombard formally started his coaching career in 1978, credited as pitching coach at short-season Eugene. He got his first managers job at rookie Billings in 1982. He returned to Tampa in 1984, then managed at single-A Cedar Rapids in 1988. Bombard arrived in the Pirates system in 1990, managing at AA Harrisburg. 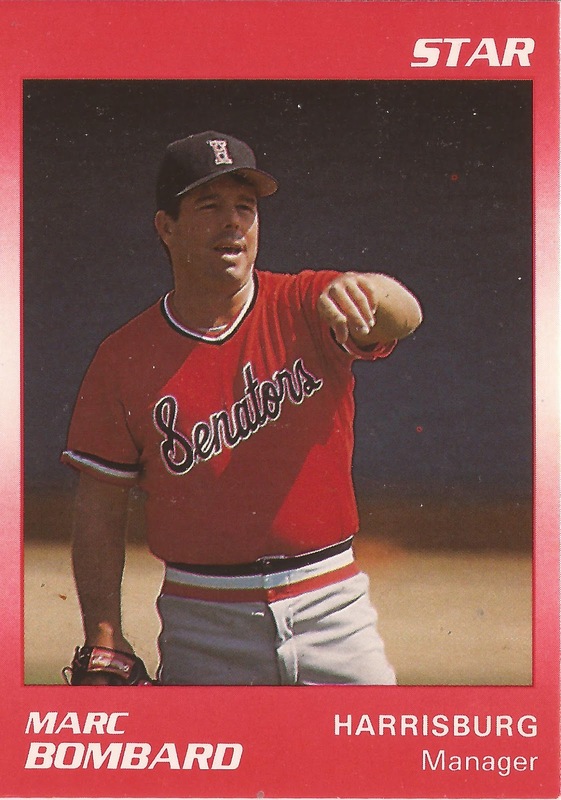 He then returned to the Reds for 1993, managing at AAA Indianapolis. For 1993, he was also interviewed for the top Reds managerial job, the one in Cincinnati. "When you're a player, your dream is to eventually play in the big leagues," Bombard told reporters of being interviewed. "If you don't have the chance as a player, you'd like somehow to get to the big leagues. That's the ultimate goal of anybody." 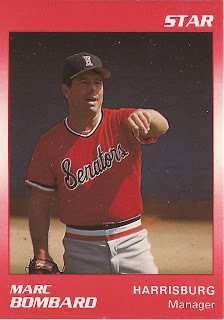 Bombard didn't make it that year, but he did make it in 1996, serving as Cincinnati's third base coach. In 2005 and 2006, he also served as Phillies first base coach in Philadelphia. In between, Bombard served as manager at AAA Scranton from 1997 to 2004, then at AAA Charlotte for 2007 and 2008 and AAA Round Rock for 2009 and 2010.